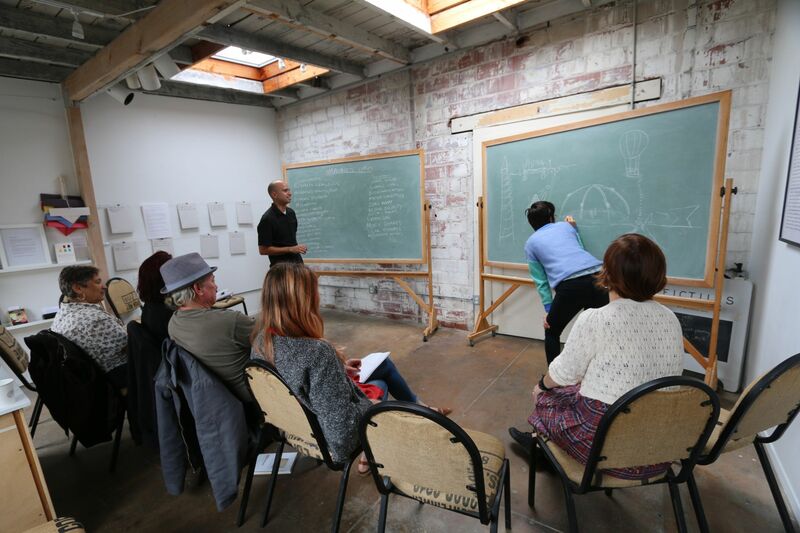 Guest artist Justin Mata facilitates a session on "Imagined Cities". Image from the postcards announcing the exhibition. Guest artist Dennis Palazzolo facilitates a session on "earliest childhood dream or memory". A live, telematic session "Vague Notations, or Please Befigulate" conducted with the League of Imaginary Scientists in Los Angeles. 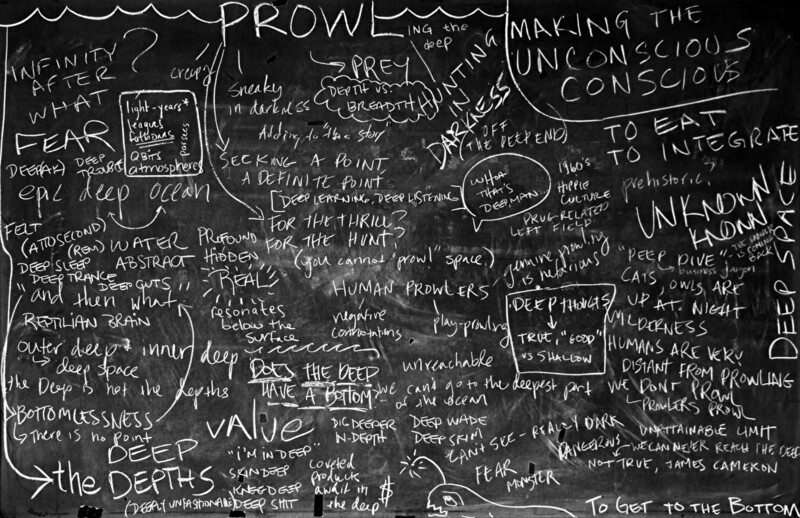 Sample of a book page featuring the unplanned session "Prowling the Deep". Participants record observations during Alan Hopkins's session on "Prolepsis and Creativity". 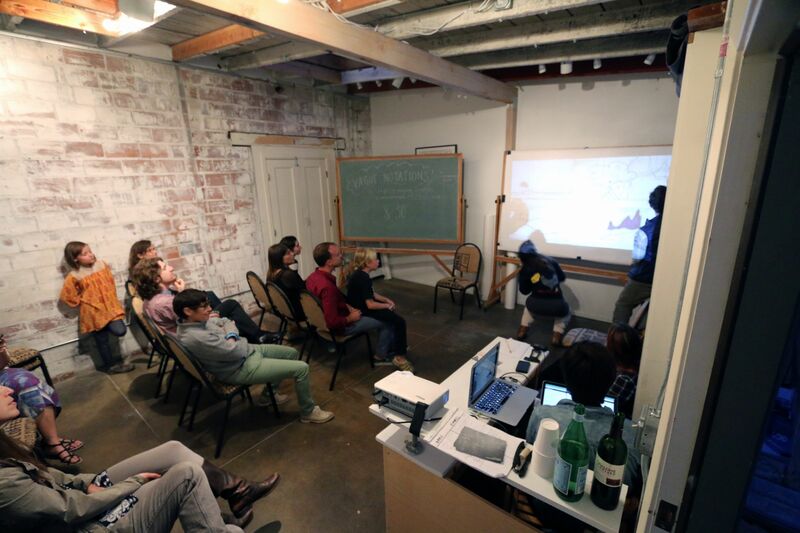 Vague Notions was a series of free, public brainstorming sessions at Interface Gallery in Oakland, CA. 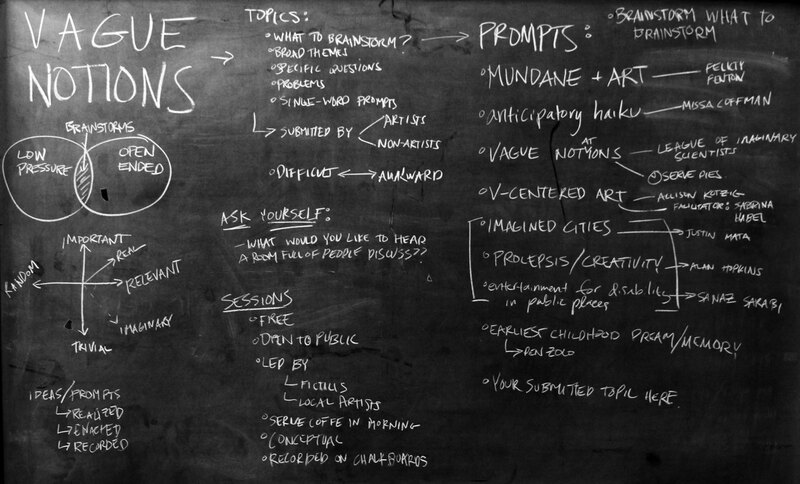 Topics for discussion were solicited via an open call and submitted over the course of the project by visitors to the gallery, who could do their own brainstorms on topics of their choosing or selected from the submissions. 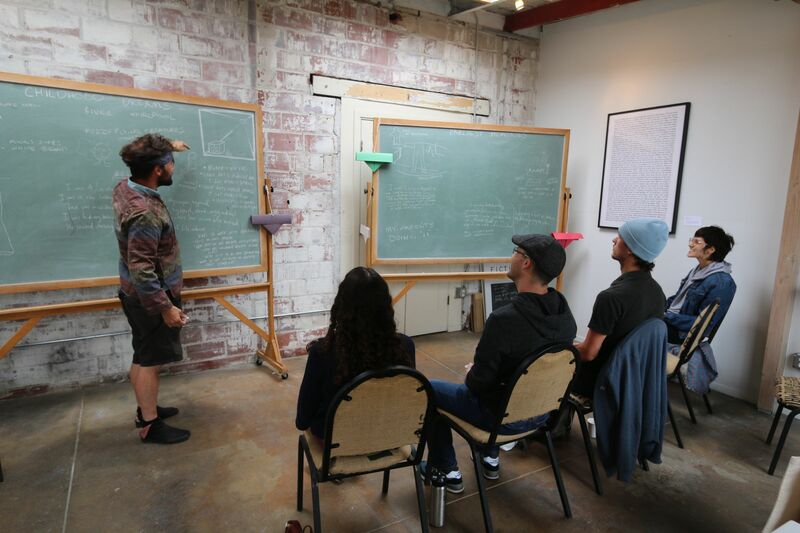 Sessions were facilitated by FICTILIS and special guests artists from the Bay Area. 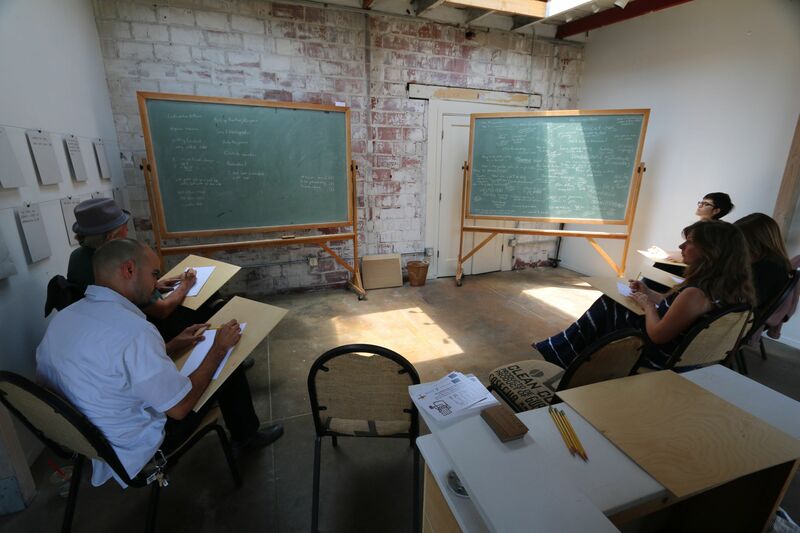 The chalkboards were systematically photographed and left in the space for visitors to experience as textual traces of previous sessions, and also made into a limited edition book. The project was part of Interface Gallery’s Residency in Community Participation and Exchange. Read the call for entries, view the full schedule including list of participating artists, or buy the book.